alleged assassination attempt on him, saying it was not fabricated. reactions that trailed the assassination attempt. Amaraizu, however, denied knowledge of the development. He said he never at any time blamed the attack on the Church. mischief makers for whatever ends and it is hereby refuted. ‘allegation” or claim as reported in the media but an established fact. to curry public sympathy and presidential favour. issues as important as human life and their absolute lack of fear of God. contacts to prove the point that they exist and that they are Catholics. assassination plot, be it the Catholic Church or Whomever. 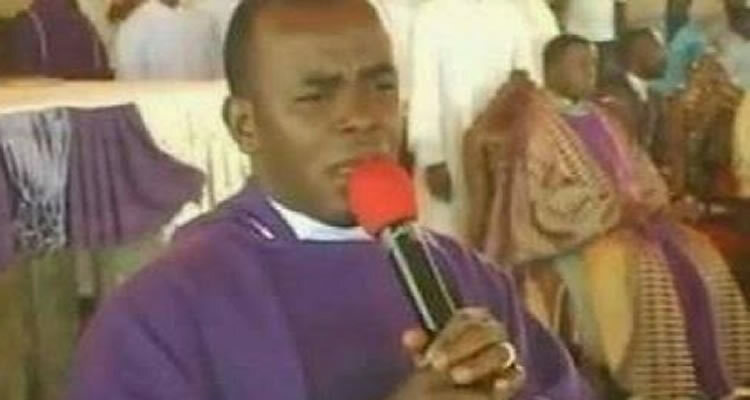 statement to incite the Catholic Church against Fr Mbaka. The police said it has not received any report to that effect.